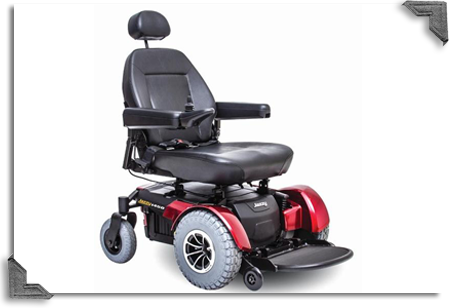 When a manual wheelchair no longer achieves your daily needs, standard power chairs can meet your needs. Power wheelchairs, or electric wheelchairs, are a great option for those who aren't physically capable of propelling a manual wheelchair and can get you places normal wheelchairs cannot. Power wheelchairs come in various sizes and models. Contact our Home Medical Equipment staff today to request more information about power wheelchairs.